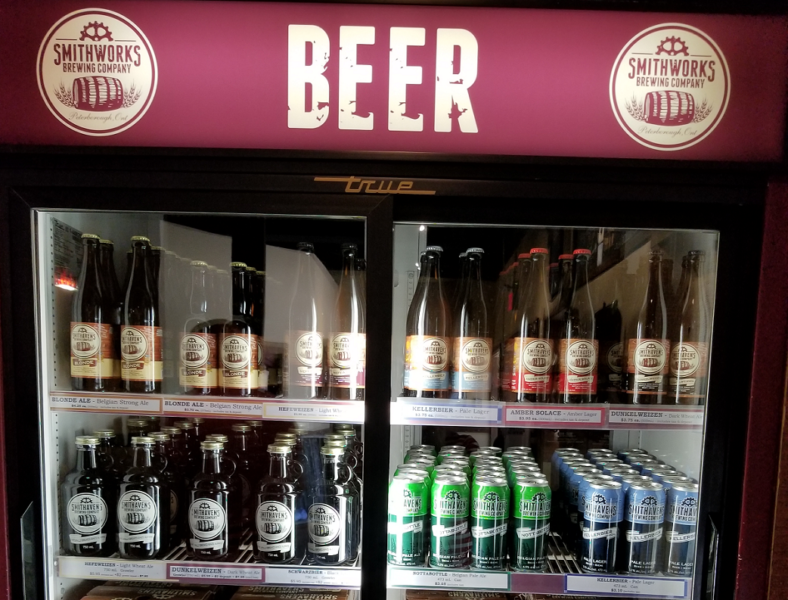 Smithavens Brewing Company - Travel, Shop, Cook, Have Fun! I can’t say that we’re big beer drinkers, but sometimes – especially in the summer – we wouldn’t mind having a pint or two of this cold and refreshing beverage. And since it’s summer now, at least according to the calendar, we decided to include a visit to a brewery on our next trip. This time we planned to go to Peterborough – Rice Lake area. Google search gave us quite a few results. 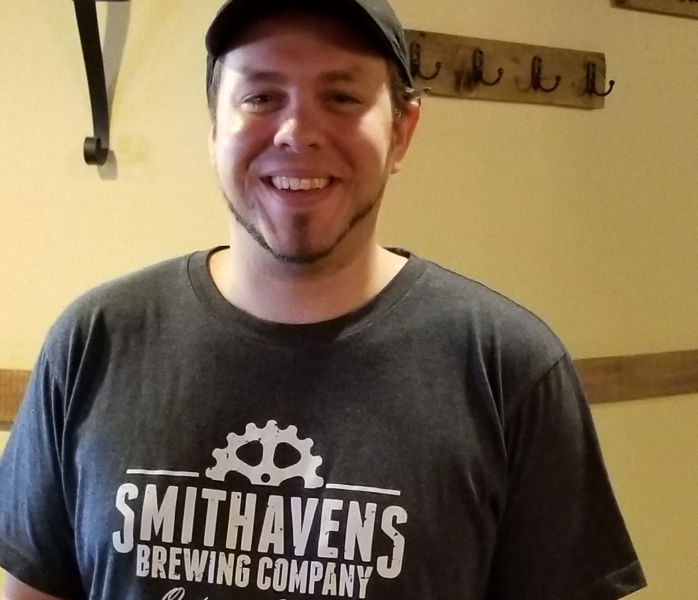 After checking several websites, our choice fell on Smithaven Brewing Company. According to their website, this brewery makes Belgian and German-style beer. So we went. Due to road closure on Taunton Road, Google Android Auto led us via Concession Road 7 to ON-115 N. This day we were finally blessed with nice and sunny weather, so driving through the countryside was very relaxing and pleasant. About 25 minutes later we took The Parkway/Sir Sandford Fleming Drive exit. After a couple of weird turns, our navigator brought us to 687 Rye Street in Peterborough. This middle-sized building with a few business units didn’t look like a beer place to us at all. 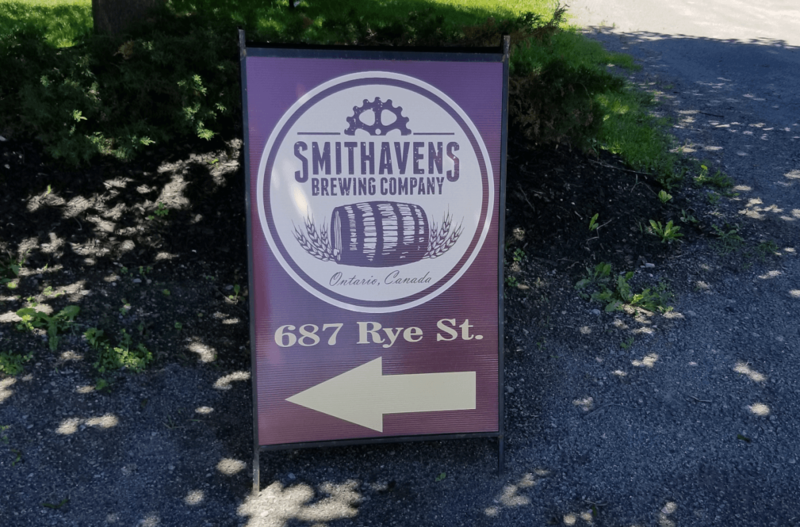 After we opened the door of the unit under the sign Smithworks Brewery Company, we were surprised to see a very quaint, tavern-like place. The puzzled look on our faces drew the attention of the personnel. We explained that we are here for the first time and we are not familiar with their products. Kyle, the Master Brewer, introduced each kind of beer they make and offered samples. All I can say is – it was love at first sip! After the second sample, my heart started melting. I was completely sold. We are not beer experts so we won’t be able to describe professionally the taste of this flavorful, craft beer. But we can say this is what we were hoping for. 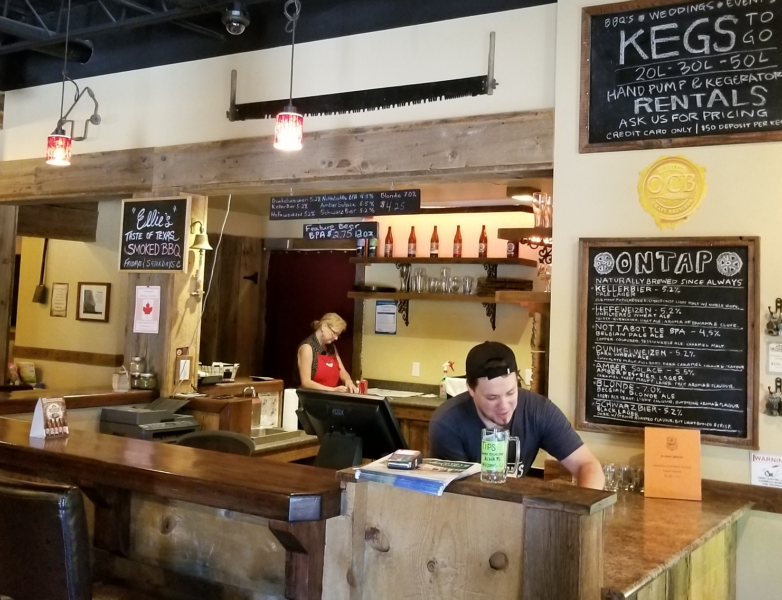 After we were done with the samples, Kyle took us to the place where all the magic happens – the brewery. Kyle shared his personal story. 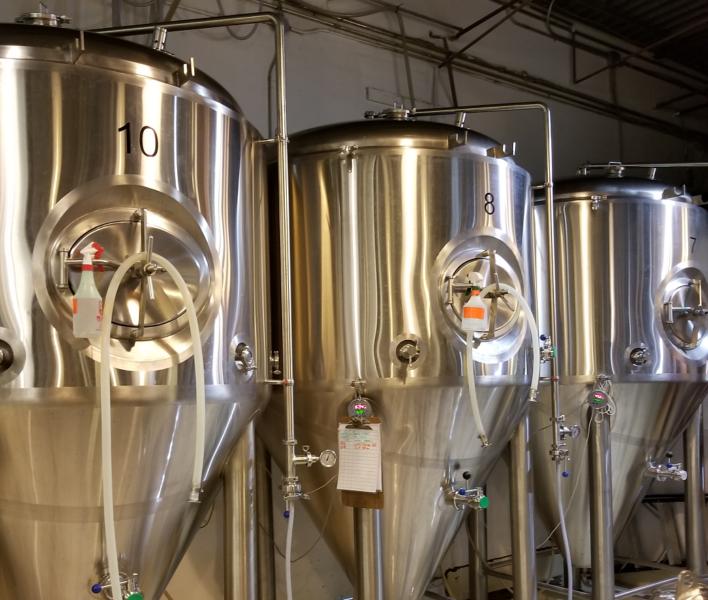 At one point in his life, he had to quit a regular job to pursue his dream of becoming a professional brewer. Now he’s working here and does not regret his decision. 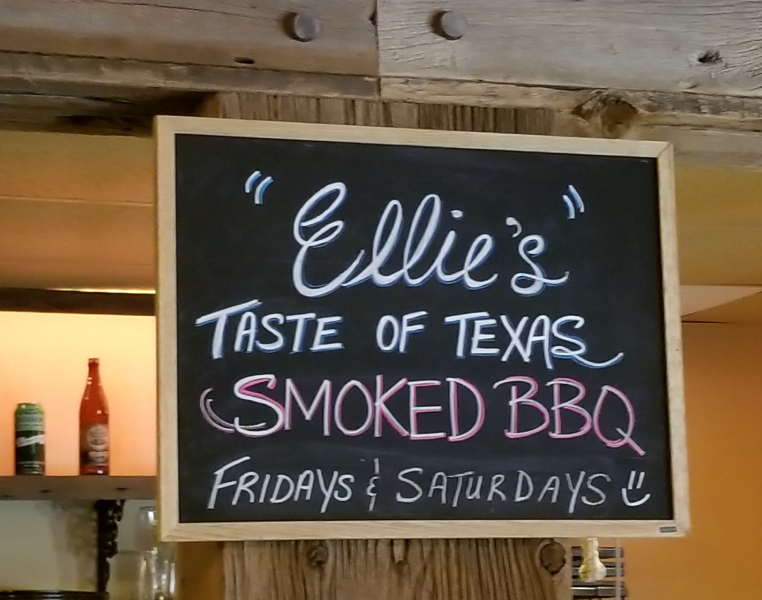 We were also told that on Fridays and Saturdays they serve Texas-style BBQ and that the brisket is especially good. Now we have an even better reason to come back! And not just for the brisket, but also for Blonde Ale, Amber Solace, Kellerbier, Dunkelweizen, Schwarzbier, and Hefeweizen.